Awe. So since I flooded my blog with sad and depressing posts for the last two months, I feel it is only right that I now share all the blissful and life-is-perfect moments now. Seriously. I am deliriously happy. Grinning almost non-stop. most especially when I look over at The Trucker sitting on my couch or lying in my bed once again. Ah. So yes, nothing spectacularly exciting has happened since yesterday morning's post. Except that we had our first quiet evening at home. You know, the usual evenings that string the week together. I've always loved those with him and yesterday was just what I needed. I'm still a little surprised at how back-to-normal everything is. Well, back to normal but with this amazing glow and this weird sense of certainty and stability. He came over earlier than usual, one of the perks of him easing off on the truck work (hmmm, wonder if I'll need a new nickname for him - har har). He almost bought a new car yesterday. Well, let me rather say he is about to buy a new car (don't worry, they're still keeping the pajero) :) We sat and chatted after he arrived for a bit, caught up on our days. I put in my leave for his Birthday Long Weekend in Sodwana at the end of this month. Can. Not. Wait. Help me people, I have 3 weeks to find my favourite person a suitable 30th birthday present! I was prepared last year as I decided on the GoPro as a joint Xmas and Bday gift. It would've been perfect ... but he went and bought himself one already (which he made my video with). So now I am out of ideas with very little time left to organise anything. Eep. 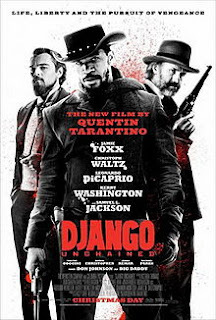 Then we decided that since he was over early, we'd watch the very very long Django Unchained. I didn't think it was that exceptional. I'm not Tarantino obsessed tho. The only movie I know I liked of his was Inglourious Basterds. We made dinner in between. Together, the way we often do, both of us in the kitchen. Him sneaking a hug from behind while I'm chopping salad. It was perfect. It's how we were. It's (hopefully) how we'll always be. And then real life kicked in. I'd noticed the tap that the toilet is connected to in my bathroom wall was leaking yesterday morning. So before bed The Trucker had a look at it. And broke it more. I rushed outside to switch off the water. Uh-oh. Within an hour tho, the boy had it fixed. Not fixed-fixed, the new connection is also leaking. But fixed enough that we could switch the water back on and shower and use the loo and whatnot. Sigh. What would I have done without him? And on top of that I tried to reassure him I wasn't really such a damsel in distress ... there were no house disasters in his absence :P Haha.